On October 8th after the announcement we were left in awe by Asrock with their new motherboards for Intel 9th Generation CPU cores. 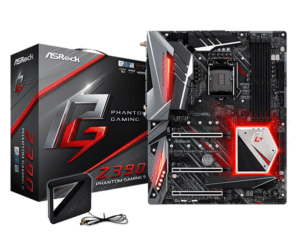 We already know about the devastating power of Asrock when it comes to manufacturing motherboards. They have literally punched the competitors with their twelve market ready Z390 Motherboard. 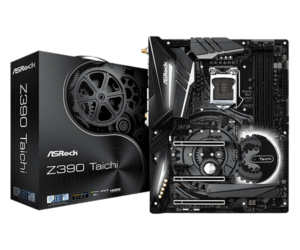 Combined with Taichi Unlimited, Asrock leads the flagship models of Z390 MOBOs. They come with beefy features such as DDR4-4266 MHz Supported memory, great overclocking support, additional base clock generator and much more. 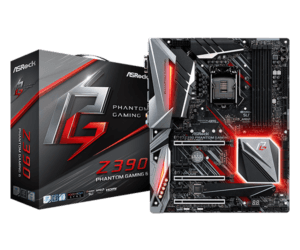 We have seen Asrock is trying to kill the market with their Phantom Gaming Series. Now taking the opportunity in hands they released six Z390 boards in Phantom Gaming Series family. It is the ultimate trump card they played to leave their mark on the motherboard market. 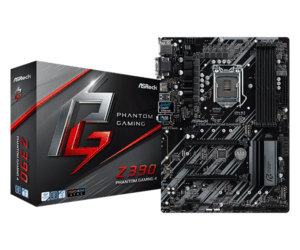 Let’s check out the features of all 12 motherboards or at least some of them. The beast of the beasts in the Z390 Asrock family. 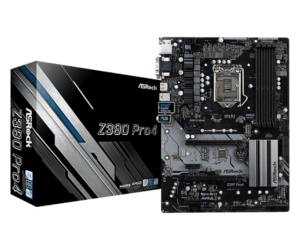 This motherboard has the busiest back panel and is designed for power users. It houses dual Intel-based powered gigabyte Ethernet ports, and also one 10 Gigabit Ethernet powered by Aquantia. 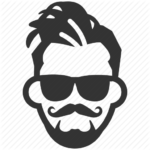 This type of networking power will unleash the full capacity of your networking speed. For wireless users, this motherboard houses a 2x 802.11ac Wi-Fi card with MU-MIMO support. For using more graphics it can easily house Nvidia Quad SLI or AMD 3-Way CrossfireX. 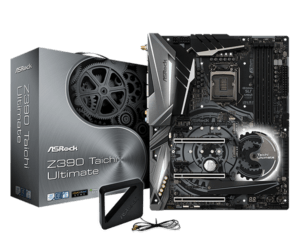 It comes with Asrock’s “Hyper BCLK Engine II,” which gives access to achieving maximum CPU overclocking. By now you have already guessed it. This motherboard is for power users. It’s going hard or goes home kind of dealing with Taichi Ultimate. Identical to Taichi Ultimate, the regular Taichi board also shares mostly the same features. The looks on both boards are quite similar to one another that can hardly be distinguishable. 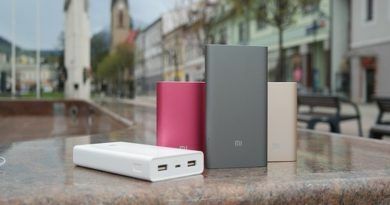 The regular Taichi loses the Aquantia 10GB LANs and MU-MIMO supports for Wi-Fi. The Bluetooth version also comes down to 4.2/3.0 on the board. 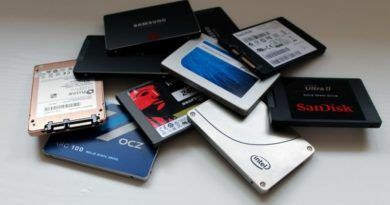 But as told earlier the regular Taichi and Taichi Ultimate share some of the same features, like 6x Sata3 Raid (6GB/s), 2x Regular Sata3, 3x M.2 Sockets, 5x USB 3.1 Gen 2 Ports and many more. For full comparison details, you can go directly here. 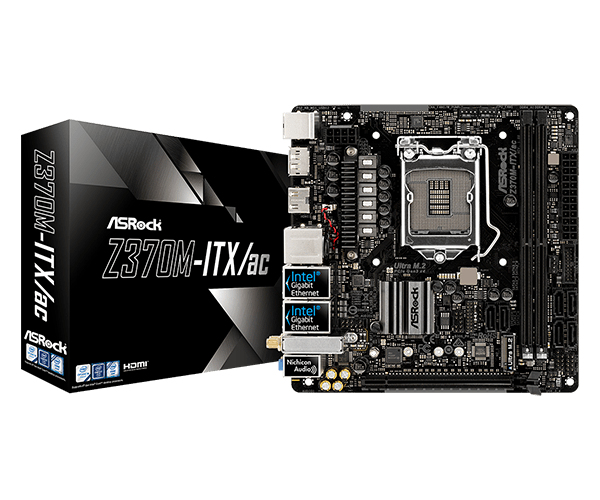 For regular users and generally use, Asrock filtered out 4 boards at your disposal. 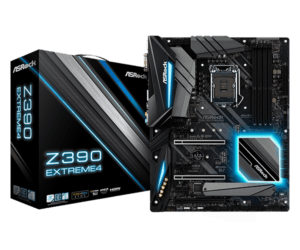 Z390 Extreme 4 is the top. It doesn’t have the High-end dual Ethernet support or Aquantia Ethernet ports. To be fair, most of the users will be satisfied with a single Intel gigabyte Ethernet. It houses 8x Sata3/2 ports combined with 3x M.2 Ultra connectors on board. Similar to the Taichi and Phantom Gaming Series the M.2 comes with the full cover heatsink. The 9x USB 3.1 Gen1 and 2x USB 3.1 Gen 2 will come in handy for most of the users. To their surprise, the board also has brackets for Wi-Fi antennas. So if you feel like it, you can add one whenever you see fit. 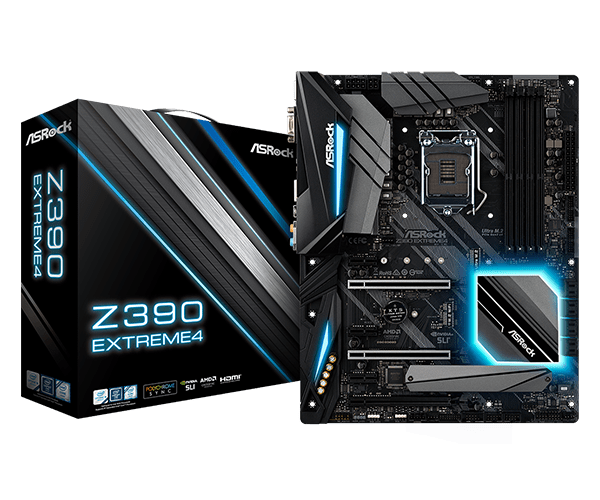 You can say the stepped down version of Extreme 4 is the Z390 Pro4. This is a small change which some users will not even consider. You can easily check out the full comparison here. It doesn’t support 95W CPU overclocking like Extreme 4 neither has the display ports. Asrock switched the Display port with DVI connections. The audio codes are Realtek ALC892 whereas the Extereme4 powered with Realtek ALC1220, as result the purity sound 4 feature is sacrificed. There are still 2x USB 3.1 Gen 2 and 6x 3.1 Gen 1 ports are there. 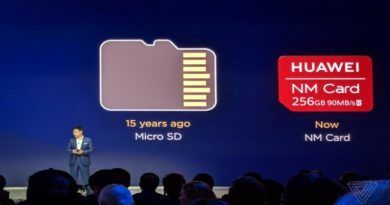 As for storage, connectivity goes, you will get 6x Stata 3 ports and 3x M.2 connections (One with E-Key Connector for Wi-Fi). Considering the price of this MOBO, you are more than you are paying. In this line up of beasts, Asrock was smart enough to put some small fries on the bucket list. 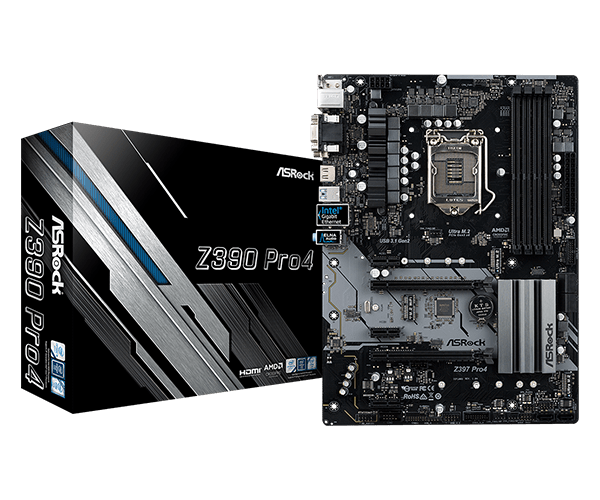 Z390M Pro4 is the single microATX motherboard in this lineup. This is not something flashy and can never be anything fancy. It gets the job done easily, actually more than you pay for. 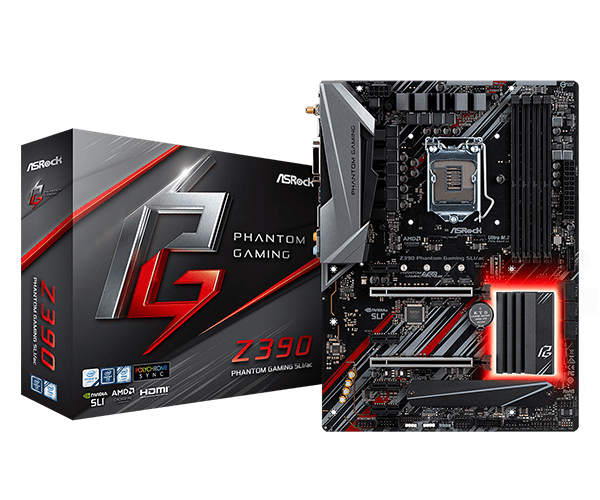 This motherboard has one Intel Gigabit LAN, 2x USB 3.1 Gen 2 and 8x USB 3.1 Gen 1 ports. There are again 6x SATA 3 and 3x M.2 connectors (One with E-Key for Wi-Fi). 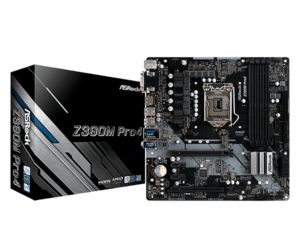 This MOBO is mostly for basic to intermediate users who are on a budget. 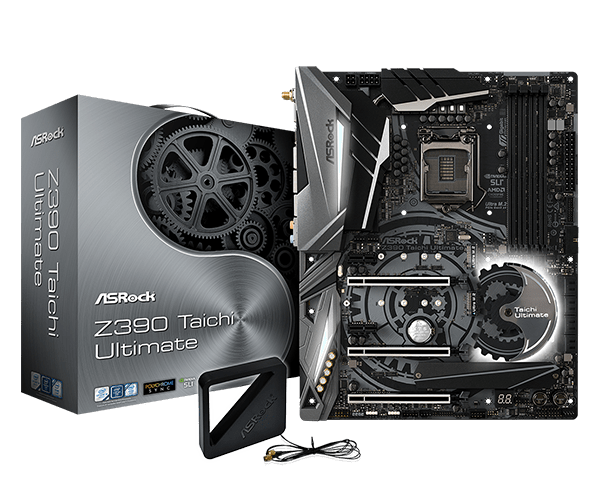 Again, to our surprise, Asrock added one miniATX board in this lineup. The Z390M-ITX/ac doesn’t sacrifice all that much in terms of features. Again, we can see the dual Intel power gigabit LAN on this board. There is also one in-built 802.11ac Wi-Fi and DisplayPorts present. As far as storage connection goes, this MOBO has 6x Sata3 and only 1x M.2 Ultra connectors. For peripherals 6x USB 3.1 Gen 2 and 2x USB 3.1 Gen 1 is present. It comes with a pair of HDMI and one DVI-D graphics output ports. So yes, triple monitor setup is possible. Rolling to their Phantom Gaming MOBOs, the Z390 Phantom Gaming 9 is another beast in this lineup. 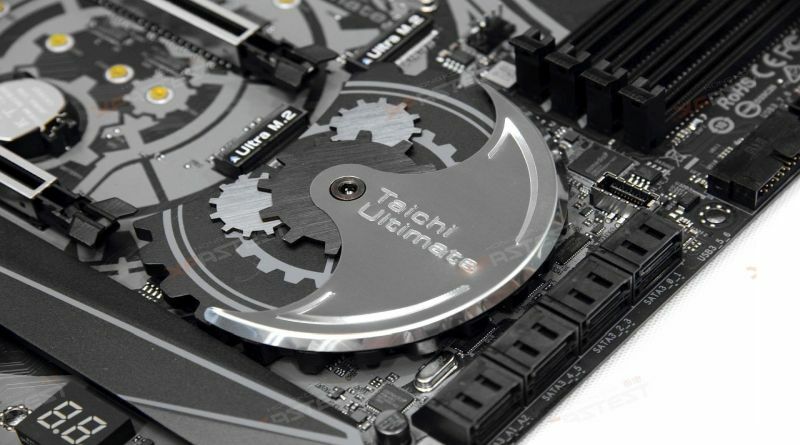 Phantom gaming 9 shares similar features with the Taichi ultimate in most cases. It is also having a triple LAN setup with 2x Intel 2.5 Gigabit Ethernet. Yes, it doesn’t come with Aquantia 10 GB ports, instead, Dragon RTL8125AG is used on this board. Similar features like MU-MIMO 802.11ac Wi-Fi, onboard diagnostic LED, power and reset buttons are present on this MOBO. You will get the same number of ports and connectors as Taichi ultimate. The differentiating part is the aggressive looks and power LEDs. Similar to regular taichi, the Phantom Gaming 6 also drops down a bit in features compared to Phantom Gaming 9. It features only 2 Ethernet connections and keeps the Aquantia 2.5-Gigabit Ethernet connection. The board features 8+4 power accommodations for CPU overclocking. The onboard diagnostics allow overclockers to use this board with ease. Similar to Extreme4 this MOBO also has 2x antenna ports at the backplate. You can add Wi-Fi antenna later if you feel like it. It houses 8x SATA3, 3x M.2 connectors (One is E-key for Wi-Fi), 6x PCIe Slots and 11x USB 3.1 (9x Gen2 + 2x Gen1). 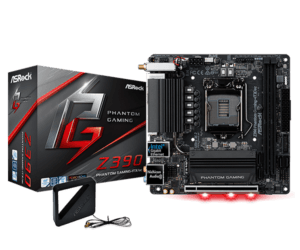 If you serious about gaming this MOBO is simply for you. There are two variants of this same board: the Phantom Gaming SLI/ac and Phantom Gaming SLI. SLI/ac comes with 802.11ac Wi-Fi + BT 4.2 but the SLI doesn’t come with Wi-Fi. Both boards are identical by every means. Unlike the Phantom Gaming 6, the SLI model is made with 1 Aquantia 2.5 Gigabit Ethernet connections. That is a plus we can think of. It also loses its back panel Wi-Fi antenna ports. For storage devices, you get 6x SATA 3 and 3x Ultra M.2 connections (1 is Wi-Fi E key). Peripherals connections can be achieved by using 8x 3.1 USB Gen 1 or 2x Gen 2 ports. There is also a PS/2 port for connecting either a mouse or keyboard. It also loses the onboard diagnostic LEDs and Power/Reset buttons. 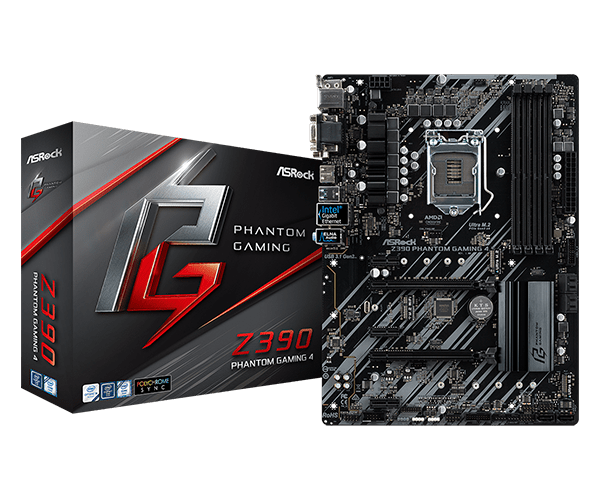 This is the 2nd Mini ITX board that Asrock is releasing this year and is also part of the Phantom Gaming series. 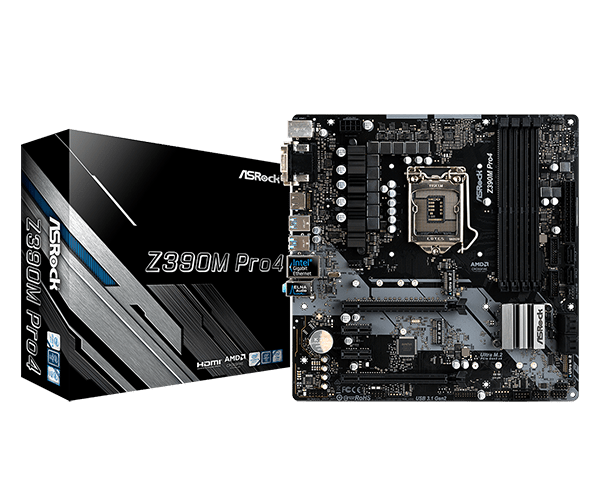 This MOBO is a pretty basic mini ITX board, probably even a dropped version Z390M-ITX/ac. You will only find 1x PCIe 3.0×16, 2x M.2 and 4x SATA 3 connections. USB options are also stripped down a bit, only 8x USB are present and half of them are Gen-2. The onboard diagnostic LEDs and buttons are missing in this MOBO, but at the back, there is a CMOS reset button. 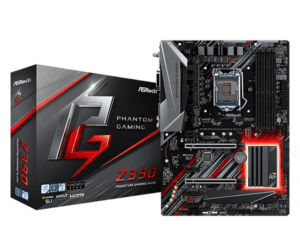 The cheapest and most affordable MOBO of Phantom Gaming series the Phantom Gaming 4. It is just as simple as any other basic ATX motherboard. There are a single Intel Powered Gigabit Ethernet cable and Realtek ACL892 audio codec featuring this board. It misses most of the luxurious features available in the Phantom series. 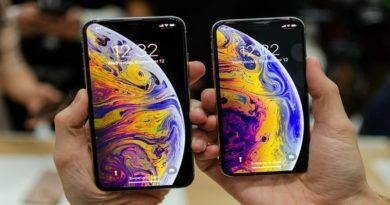 But it manages to include 2x PCIe 3.0×16, 3x PCIe 3.0×1, 3x M.2(1 with Wi-Fi E-Key), 6x SATA 3 connectors. More than one can hope for at this price range. Most of these motherboards are already available in Newegg and Amazon.com. And to tell you the truth these are where Asrock shines. Making an affordable board for everyone in the price range is not an easy job. They have opted for the easiest and effective tactic in this case. The full price list is jawed down in a below table. You can also use the comparison tool given in Asrock website to compare the motherboards as you see fit.